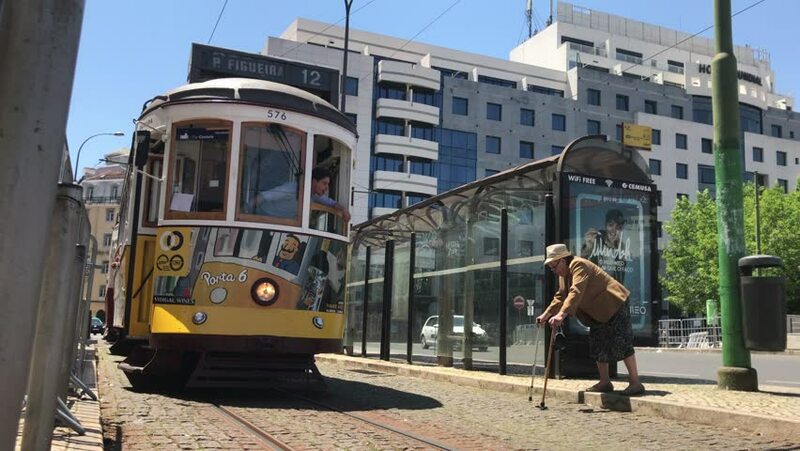 Lisbon, Portugal, May 6, 2018: Tram operator converses with an older woman through a window. 4k00:21LISBON, circa 2017: An old tram with Santa Claus on the street of Lisbon on Christmas Day. Portugal. Lisbon is continental Europe's capital city and the only one along the Atlantic coast. hd00:24Recycling bins on a UK city street. A line of recycling rubbish bins on a city street in Birmingham, England.